To reignite excitement in time for the party season. Identica redesigns Glitter Berry to reignite excitement in time for the party season. Based on the insight that millennials want a soft drink that enhances their evening when they are out socialising we were challenged to get this audience to reappraise J2O by creating an eye catching and relevant design that supports J2O in their vision to be the perfect adult soft drink to enjoy with friends. The pack has been designed to highlight the unique liquid, containing reflective glitter which is activated through shaking or stirring the bottle or glass. 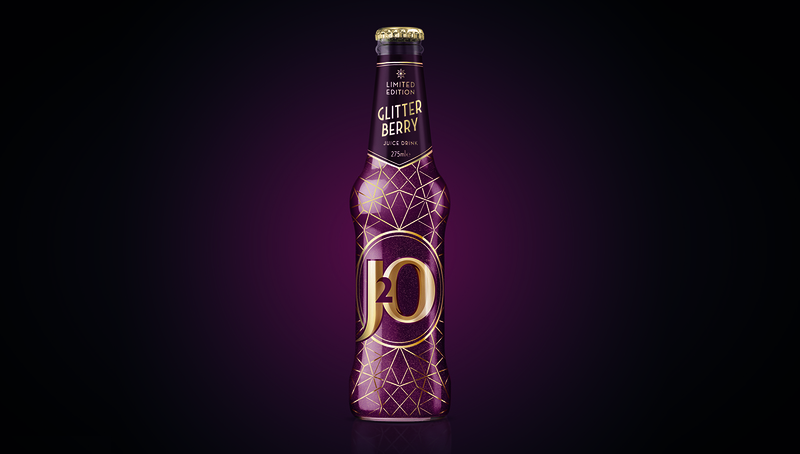 Inspired by the glamour and opulence of the art deco period and the magic of winter, the circular container around the J20 mark acts as a window into the indulgent glitter drink. An intricate lattice pattern envelopes the entire bottle, also providing further glimpses of the drink’s activity. 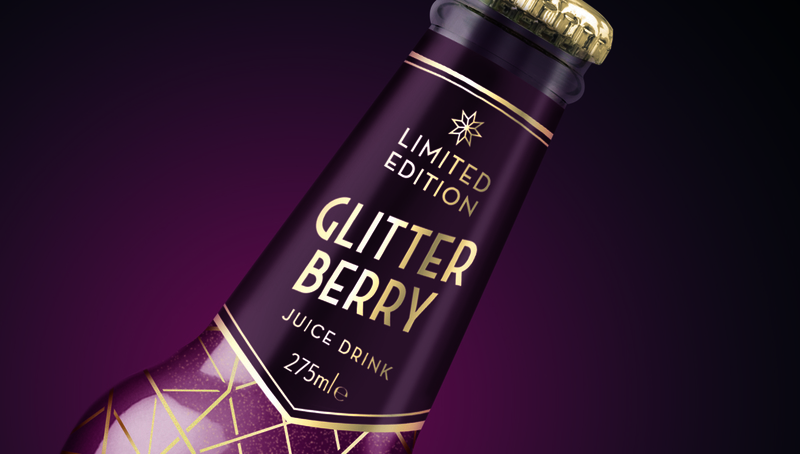 Jonathan Gatward, Britvic Marketing Director said: We’re really excited to see the new look J2O Glitter Berry in the bar fridge. We’ve designed this year’s limited edition to really stand out and the blend itself is perfect for consumers looking for a seasonal drink. Keith Davie, Identica Creative Director said: It’s a time of year when people make that little bit of extra effort on a night out and spirits are high. Your friends are on the cocktails or fizz and you want to feel part of that – Glitter Berry’s about theatre and we just bought some glamour to the party.